Although it called for several scattered showers through out, the day was not dampened. 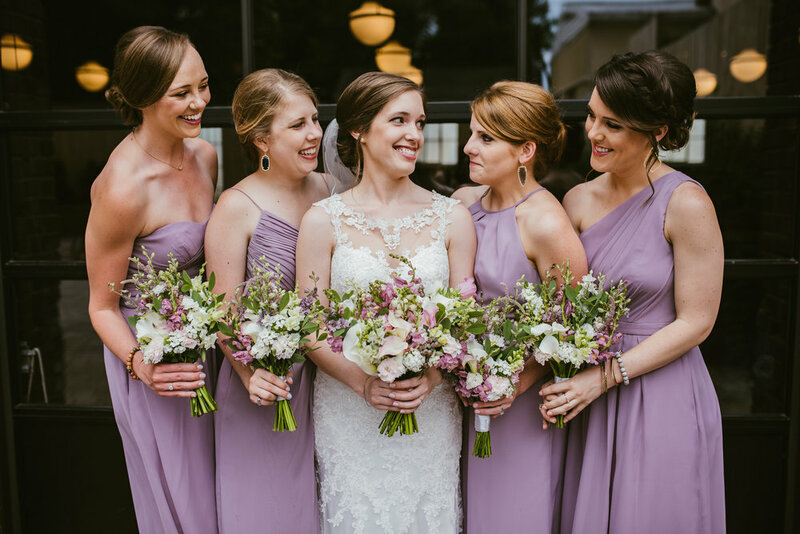 It started out in the most mid-century-esque getting-ready location at the Durham Hotel. The mustard curtains and retro furniture was such a sleek setting for Rachel to get ready. 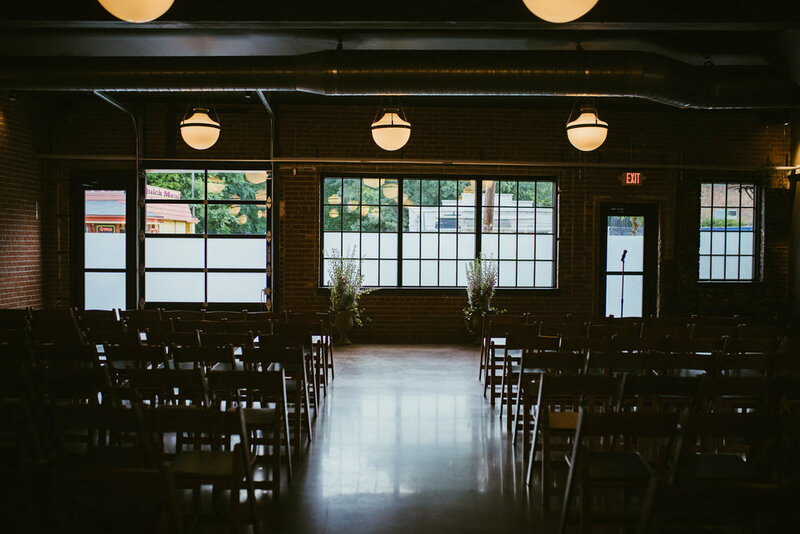 We made our way to the Cookery, an industrial venue in downtown Durham. 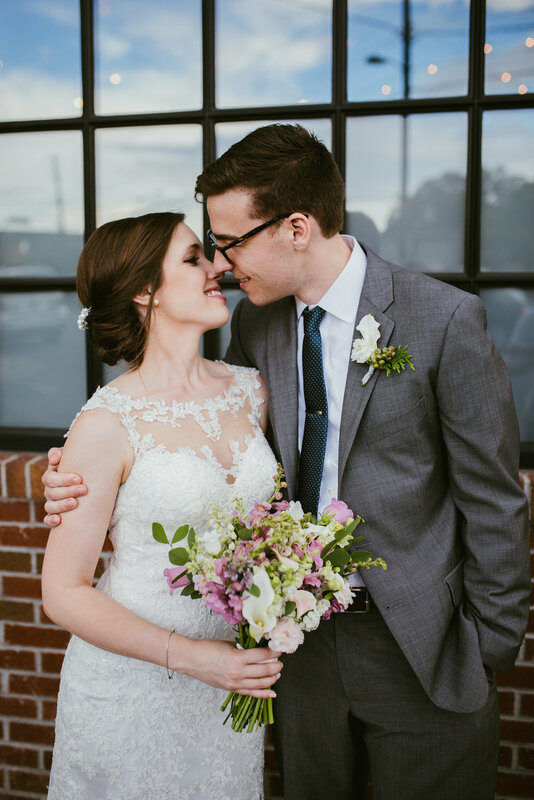 The brick walls, iron doors, and exposed pipes was an inspiring backdrop for Matt and Rachel's first look. We dodged sprinkles but the diffused light under the clouds rendered such rich and deep coloring against the wet earth. Overall, the day was beautifully lit by Rachel and Matt's kindness, their sweet affection of each other, and the bliss felt by all this day.